reason. Consumers have found platforms, ranging from Facebook to Youtube and from Whatsapp to e-commerce sites, which encourage their inherent need to share experiences and voice opinions. Simultaneously PR and marketing budgets have been shrinking, forcing organizations to find cost-effective means to promote their brands, products and services. But perhaps the most significant development has been consumer caution. Consumers have sensed that traditional media can be biased and influenced by a number of factors. As a consequence, there has been an erosion of trust in traditional media. This has helped word-of-mouth rise to prominence. In the handbooks of smart campaign managers, you word and my word is more precious than a flurry of press releases, a tsunami of telemarketing calls, a flood of promotional email, slick advertising, seductive promotions and lavish road shows. Customer recommendations, endorsement and referrals have become the marketing goal posts that winners aim for. 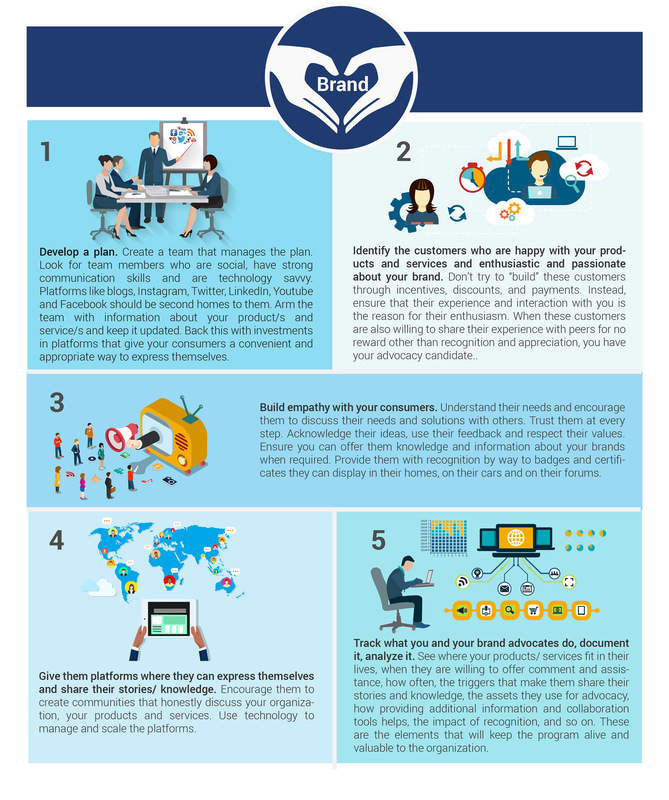 Having your customers make recommendations, refer your products to friends, colleagues and social groups, is seen as authentic content. We’ve also witnessed the scales tilt the other way: consumers have been effective at successfully boycotting products they don’t like and shaming them out of existence. Perhaps this is why PR and marketing teams are now keen to launch and sustain communities that they have consistent contact with and some control over. There is research to support the strategy. A recent Nielsen report suggested the more than eight-in-10 global respondents (83%) say they completely or somewhat trust the recommendations of friends and family while 66% depend on consumer opinions posted online. A good example of consumer advocacy in the travel and hospitality industry is reflected in the rise of sites like TripAdvisor and Zomato. Just count the number of times you’ve been to a restaurant and after you’ve paid the bill, the maître de gently requesting you to review them on TripAdvisor or Zomato (or both). Think of the number of times you have been to a hotel and seen the TripAdvisor placard on the check-in counter, encouraging you to rate the hotel. And finally, think of the number of times you have made decisions to visit a particular restaurant or stay at a hotel based on user reviews on these sites. One study showed why TripAdvisor ratings are so important: 67% customers don’t book a hotel after reading 1 to 3 negative reviews; 93% are influenced by online reviews; and 53% consumer won’t book without an online review. A Harvard Business Review case study called Emerging Era of Customer Advocacy has observed that some organizations are providing customers with open, honest and complete information going to the extent of finding products for them, if necessary, from competitors. The strategy is simple: When people trust a company, they will often tell others about it, helping to reduce the organization’s costs for acquiring new customers . Building effective consumer advocacy programs should be an integral part of every PR and marketing organization. Way back in 2011, BlackBerry was in the midst of its issue with the government, despite with our backs to the wall, BlackBerry become one of the top 50 brands in India in the next 3 years. That for me was the epitome of creative consumer advocacy. Varghese M. Thomas as the Vice President and Global head of communications at TVS Motor Company is responsible for driving the global communications strategy for TVS Motor Company. Experienced leader in Corporate Communications, he has lead the communications mandate for leading Tech majors namely BlackBerry, Cisco and Intel. 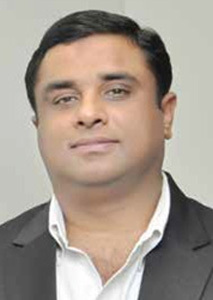 With over 20 years of experience in delivering optimal results and business value in high growth environments, he has been instrumental in transforming the brand image and positioning of the companies he has worked with and has facilitated execution of public relations programs in line with the organization’s business objectives. In these organizations, he had through his innovative thinking developed & executed various successful innovative marketing and communications strategies. Under his mentorship various digital marketing campaigns were conceptualized and implemented to enhance the organization visibility in social media. Varghese is a thought leader who has demonstrated capabilities in driving change management initiatives resulting in organizational transformation & development. He has devised crisis communication plans to negate any adverse impact on the organization’s bottom line and ensure business continuity. He has been a team-player with strong project management skills with exposure to both international and domestic market, capable at handling multiple assignments. He possess strong communications skills and a management discipline. He has steered successful integrated campaigns that have created enduring reputations by creating value through result-oriented communications.